My sabbatical is officially over. It’s hard to believe that 40 days ago I set off on an adventure I never imagined I would have ever experienced — a refreshing season of rest and renewal. My heart is overflowing with gratitude to the people of Kingsland and our Personnel Team for this incredible gift. I also appreciate my Pastor, Alex Kennedy, and our Executive Pastor, Doyle Lowry, for their guidance and counsel as I prepared for my time away from the office. And I am indebted to Amy Granger, my assistant, and Jon Davis, our Missions Associate, for their continued labors while I was away. They did not miss a beat. It was nice not having to worry about anything at the office while I was away. Although my sabbatical is over, I have no doubt that I will continue to benefit from this season of rest and renewal for the rest of my life. I intentionally focused my time away from the office on nurturing my relationship with my heavenly Father, spending time with my earthly father, and enjoying being a father. My Dad and I had an amazing two-week road trip together. I can’t even begin to put into words what it meant to me to have this experience with my Dad. 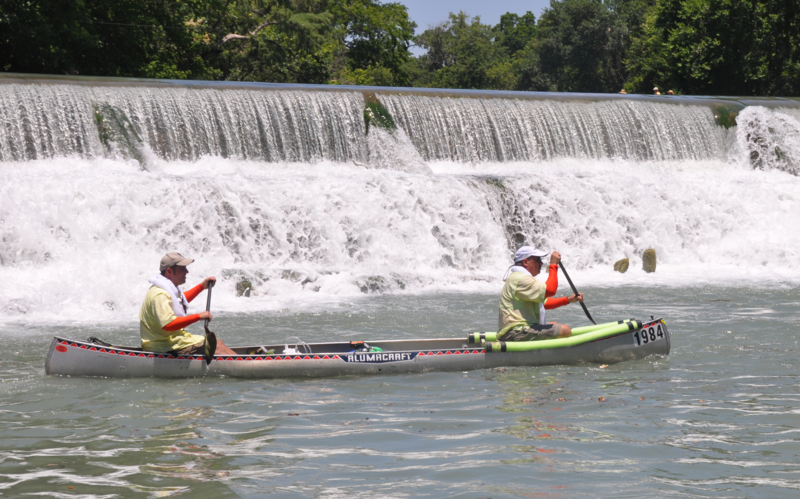 And what more can I say about completing the 260-mile Texas Water Safari with my son. Jonathan and I spent ninety-four hours together in a canoe paddling our way from San Marcos to Seadrift. My son helped me to do something I would never have attempted to do without him. He helped me to go beyond in a new and challenging way. I am still processing so many of the lessons I learned along the way. My memories are on overload! I have been in full-time ministry for thirty-four years. Thirty-four years is a long time to do anything. And because I have always felt a sense of urgency about ministry, these past thirty-four years have been intense. I have officially taken three sick days in all of those years and, in retrospect, should have had the sense to stay away from the office on other days when I was under the weather. But because I absolutely love what I do, I did not want to miss out on what each new day might bring. I love being on the front lines of ministry. I think that’s why I worried a bit about how I would handle forty days of sabbatical. Now that my sabbatical is over, I am happy to report that the experience surpassed my expectations. I feel better and I am returning to the office with renewed energy and enthusiasm for what I have given my life to. So, once again, I have to express my thanks to Kingsland Baptist Church for the blessing of forty uninterrupted days that I will never forget. Thank you from the bottom of my heart. It sounds like you used those 40 days very well. We are so glad you are our missions pastor. Thank you for all you do!!! Thanks for your kind words, Shiloh. Love serving at Kingsland. i can’t tell you how much your sabbatical blessed me too. It was really fun following you and your dad’s road trip. It made me realize I need to slow down and enjoy the people I come in contact with daily. But the best part of your sabbatical was cheering and praying for you and Jonathan during the race. So proud of you for doing something so special with your son. Looking forward to seeing you at prayer time again! Thanks for following our journey, Paticia. I appreciate all of your prayers and encouragement along the way. I can’t wait to get back to Kingsland on Monday. See you soon. May God continue to bless you and your ministry. What you do holds enormous value and importance both in this world and for eternity. I hold you in my prayers daily as you impact the world for Christ. Keep fighting the fight, and running the race. Thanks for your kind words and for your prayers, Jackie. I appreciate your encouragement.